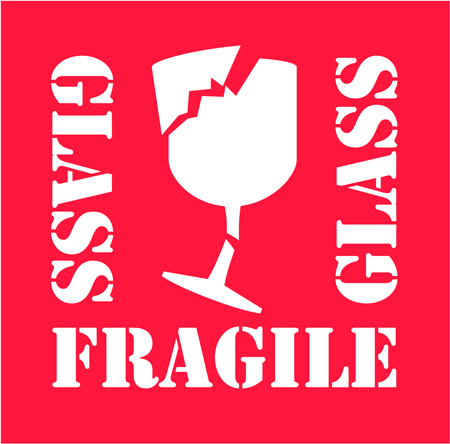 Over 30 fragile - glass shipping labels in different sizes and formats to fit your needs. Pressure sensitive paper labels adhere to corrugated metal, wood or glass. Quickly identify fragile products, special attention and handling needs. Custom labels available. Call for details.